From the wild rivers of the Balkan Peninsula to the vast Arctic tundra, from mountain streams with salamanders to peat swamps filled with dazzling dragonflies, from waterholes to estuaries full of salmon, sea trout and waterbirds, wetlands provide some of the world’s greatest nature spectacles. Wetlands and the life they support are being damaged and lost faster than any other ecosystem, with global losses of over 64% since 1900. European wetland habitat and species have suffered major losses in the past and remain threatened. This loss is accelerating, with the greatest impacts in locations and regions where development pressures are most intense. Conversion of wetlands for other land uses, changes in flooding patterns and pollution are among the biggest causes of wetland loss and degradation. Wetlands store and distribute water in the landscape. Hence they are often at the heart of conflicts over water, including between nations that share watersheds. 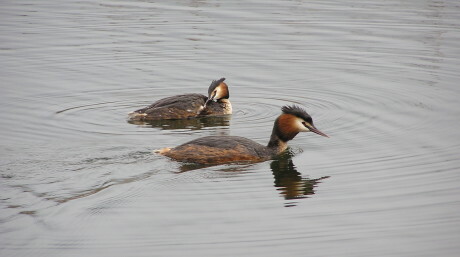 Migratory waterbirds, freshwater fish, aquatic mammals and reptiles are particularly vulnerable to wetland changes as they depend on connected networks of wetland sites and river systems that cross borders and continents. Yet these species – as well as the many wetland plants and small organisms that go unnoticed – are so essential for wetlands to be able to deliver their values and services to people. In order to secure the future of wetlands and wetland species we develop and communicate knowledge on the status and trends of wetlands and the consequences of wetland degradation for society. We coordinate global waterbird monitoring initiatives, such as the International Waterbird Census (IWC), the largest and longest running citizen-led global monitoring initiative in the world. The data collected during the annual IWC count provides vital information for the conservation and management of waterbirds and wetlands. We conserve and restore some of the Europe’s most iconic wetlands and wetland species. Our science-based work in partnership with universities and knowledge institutes, combined with a strong understanding of EU policies and the practical experience from our member organisations and their networks, makes us a credible advocate for improved policies and practices. Since 1967, we have coordinated the International Waterbird Census (IWC), one of the largest and longest running citizen-based global waterbird count in the world. Data from the census helps identify and manage important wetland sites and supports the adaptive management of waterbird populations. The African-Eurasian Waterbird Census (AEWC) is a regional programme of the IWC, covering all of Africa, Europe and large parts of South-West and Central Asia. European wetlands are home to a rich abundance of animal and plant life. From rivers filled with fish, mussels and snails, wetlands where freshwater turtles are found, to the Arctic, where migratory birds breed and marine mammals gather in summer and for migration, and from coastal wetlands teeming with playful dolphins, to drylands in areas close to Europe, where wetlands provide a seasonal lifeline for species of all kinds. 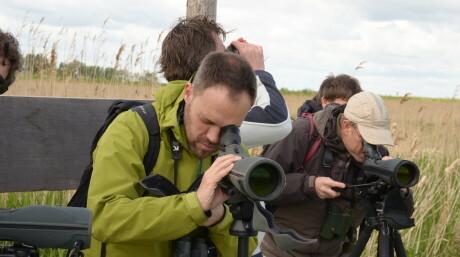 All European Union countries contribute annually to the International Waterbird Census (IWC) counts, supporting policy and management decisions across Europe. EU excluded any biomass produced at the cost of wetlands or peatlands from policies that support biofuels. We advocate that biofuels avoid peatlands in new plantation developments.